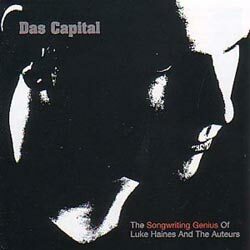 "The Man" behind THE AUTEURS, BAADER MEINHOF, BLACK BOX RECORDER and, of course, LUKE HAINES - in his own words!!! LH. Sitting on the pavement thinking 'bout the government. First there were THE AUTEURS. After 3 brilliant albums, he decided to do something else. Something political and more agressive - BAADER MEINHOF. 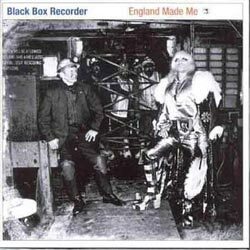 BLACK BOX RECORDER with dreamy vocals of Sarah Nixey, ex-JESUS 6 MARY CHAIN mamber John Moore and added electronica, was really something else. T. Can you explain how did you name your bands? LH. One of the band (Alice) was studying film especially Cinema du Cahiers, and the auteur (author) theory. 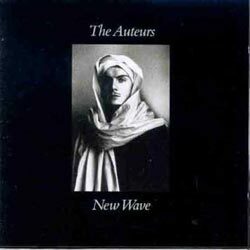 I thought 'the auteurs' had great potential as a band name, It sounded classic, sort of like 'the Temptations' or 'The Miracles' or 'the Supremes'. An intellectual verion of 'The Supremes' perhaps. 'Baader Meinhof' named after the two leaders of the West German Red Army Faction terrorist cell; Andreas Baader and Ulrike Meinhof. They were active between 1969 and 1972. All the leaders of the RAF including Baader and Meinhof died in a 'suicide pact' in Stammheim Prison in 1977. 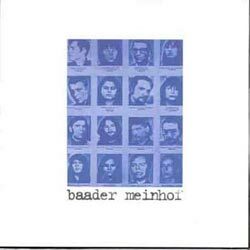 I recorded a loose iconic concept album about their actions ( Baader Meinhof - 1996) hence the name. It was really a solo album but i decided to up the ante and wind up the squares by calling the group Baaader meinhof. Black Box Recorder was named by John Moore. He claims he thought of it when he nearly died in a plane crash. He may be lying. Luke Haines is the name my parents gave me. T. What is the difference between THE AUTEURS and LUKE HAINES? LH. None. The Auteurs have become Luke Haines. I ate their bodies, spat out the pips, and sucked up their souls. After he decide to perform as LUKE HAINES and after two great albums, he decide to re-record some of the songs from his 4 THE AUTEURS albums, 2 solo efforts and 1 as BAADER MEINHOF, with orchestral arrangements behind his voice. T. Why did you re-record exactly those songs on "Das Capital"? LH. After many phone polls and surveys I discovered thaat these were the songs the nation liked best. Plus it was an opportunity to right a few wrongs . for instance I felt that the 'bootboys' version of 'future Generation ' was lacking, so i improved it by incorporating an orchestra on the 'Das capital' version. 2 years after "Das Capital", 3cd compilation with unreleased singles, bbc sessions, b-sides, acoustic tracks etc is in front of me. The name of this compilation is "Luke Haines is Dead". 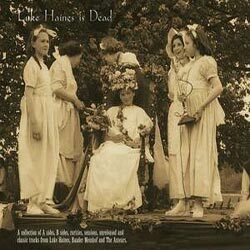 T. After 15 years of work you released 3 cd compilation of singles, b-sides & rarities called Luke Haines is Dead. Is this really the end or what? LH. I am a true artist. There is no end. One of the songs on BLACK BOX RECORDER album "Passionoia" is named after second half of dynamic duo of the '80's. T. Is Andrew Ridgley bigger than George Michael? LH. Yes, he's about two inches taller and a little heavier around the waist. T. Conisidering some of your song titles (England Made Me, American Guitars, Chinese Bakery, New French girlfriend, etc…), is there a chance that you name one of your new songs "Croatian (something)"? LH. Anything could happen. Good things come to those who wait, just be patient. T. Is there any chance for you to come to Croatia to play? LH. I would love to. If you know any promoters who want to make an offer just put them in touch with the website. T. Your favourite albums, books, movies…? Britains Finest Hour - Winston Churchill, Vera Lynn etc. T. Tell me something I would never guess abut you? LH. Operating under another name I am the inventor of two best selling boardgames. ... and after all a big thanks to Luke & Neil.